The Lansing city council has moved a step closer to approving a tax deal that could lead to an expansion of Capital Region International Airport. A final vote is scheduled for next week. Businesses at the airport oppose the tax deal. George Carr owns a hanger at the airport. He says the tax deal is a 'killer'. “This…pits the existing tenants and businesses against future tenants and businesses. It does it by raising taxes…on existing businesses…so they can abate taxes on future businesses that may or may not locate there," says Carr. A city economic development official says the proposal will help improve business at Lansing’s airport. Bob Trezise with the Lansing Economic Development Corporation says the tax increase is a question of ‘fairness’. "We just merely are saying ‘We wish you to pay a small amount to participate in supporting the airport, like all the businesses and residents of Ingham County do. And you’re at the airport'," says Trezise. The tax deal must be in place by the end of the month so the airport can apply for a state development grant. 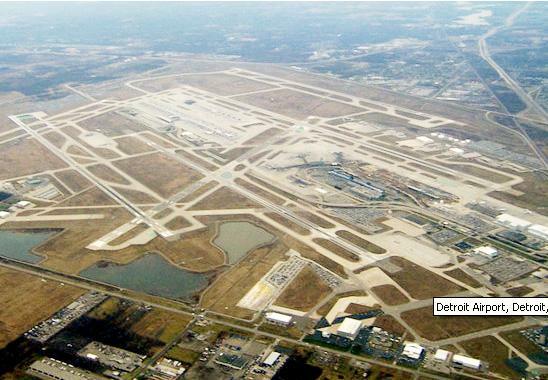 Legislature approves tax credits for Michigan "Aerotropolis"
The current lame-duck Michigan legislature passed a tax incentive package this morning to encourage the development of a Michigan Aerotropolis. An Aerotropolis is an emerging type of urban form comprised of aviation-intensive businesses and those businesses that need to be readily connected to their customers. These businesses, and related enterprises, extend outward from a major airport.